This handbook is a compilation of the basic regulations of intellectual property rights. The authors in a concise and accessible way explain the concepts of intellectual property rights, copyrights, intangible goods rights and their functions in the binding system of law. The handbook raises the issues of copyright on the Internet, elaborating on the regulation concerning i.a. downloading and uploading files on the net, coping MP3 files, software piracy and Internet service providers’ responsibility for the actions of their users. The issue of trademarks in the context of the Internet was also touched upon. 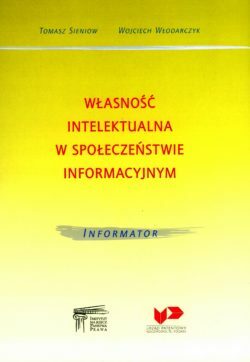 The publication was released within the project “The youth educational campaign for the protection of the intellectual property rights on the Internet”, and was co-financed by European Union within the grant program “Increasing public awareness and strengthening the role of non-governmental organizations in advocacy and monitoring” (Transition Facility 2004).